The military develops some of our country’s finest employees. Your training, hands-on experience, abilities, and discipline place you in the upper rankings for employers looking for new, especially skilled employees. 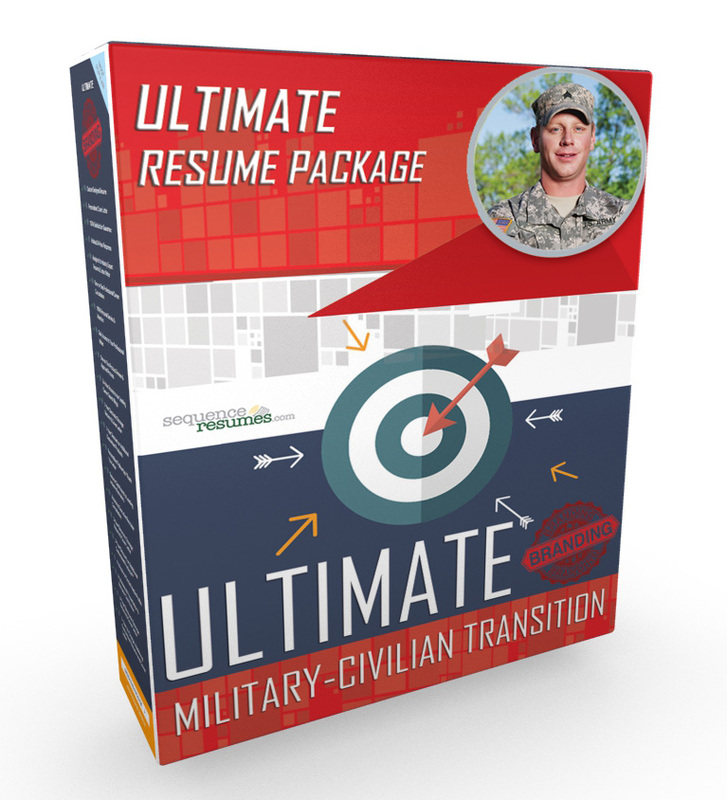 As with any transition, though, communicating to a civilian employer about your developed background and experience can be a challenge. The usual military resume format, language and titles can be confusing for an employer who is used to more traditional, civilian corporate resumes. Our best value! The Ultimate Package is the most valued package offering. This is because it includes your customized Resume, Cover Letter, LinkedIn Profile Template, Follow-Up/Thank You Letter, Professional Reference Sheet, and our VITAE I-Inventory Package – plus more! It is essentially the complete career package. In addition to all of the services available in the Deluxe and Grand Packages, we are pleased to provide you with even greater values. Our most valued offer, the Ultimate Package is all yours for just $499.95. We will convert and enhance your new resume into an easy-to-use document for insertion into your LinkedIn Profile. This includes refining your material to work with LinkedIn’s content, character and format limits. Help yourself stand out on one of the World’s most powerful career networks with a compelling and modern LinkedIn Profile! Share your references with potential employers with a reference sheet designed to match and support your other materials. We are confident that the materials we provide will help you land a new job or promotion. Once you do, we will update your resume to include the new position. All of our products and services come with our 100% Satisfaction Guarantee. We proudly stand behind our products and services. That’s why we have so many happy, satisfied customers that generously refer us to others and return back to us time after time. We guarantee we will work with you to ensure you are completely satisfied and make sure you receive the product and service you purchased and deserve. Guaranteed! With your purchase of the Grand or Ultimate Package, we are pleased to offer you the opportunity to meet with one of our leading recruiters for a professional consultation to enhance your search efforts. We will gladly keep your products safely on file – at no charge – in our electronic storage for three years so you can freely return at any time to retrieve copies as needed.